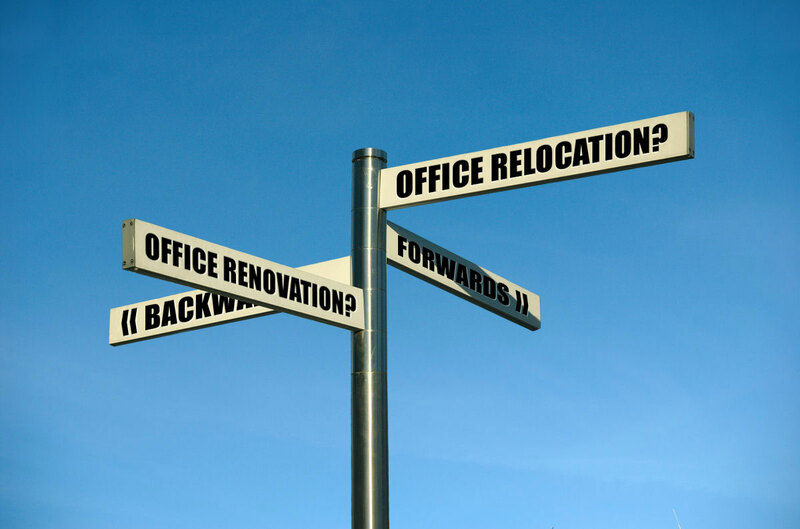 Office Relocation vs Renovation: Which Way Is Best? If your company’s interior space has literally reached breaking point, you know you have a very difficult decision to make. Clearly, your organisation has either outgrown the useable space your business presently occupies or you’re not using it effectively. Either way, you must be a business on the up and need to ensure you don’t start to burst at the seams. Whilst renovating and rethinking the use of your interior space may seem like the cheapest and most convenient option, a relocation is an extremely complicated one and presents even more hurdles than a simple refit. You have to decide what works now and more importantly, what will work in the future. If your current location simply doesn’t work any level anymore, perhaps relocating is the best step forwards. This can come down to a number of factors. The current space may be poorly located and makes it hard to be competitive, is too far from major communications routes, is away from areas of high consumer activity and potential customers or simply lacks the space your require. Each business will have differing reasons to consider. What is important however, is whether a relocation will cause you more or less disruption than an office fit out of your current space. Relocation is actually very disruptive as there will certainly be downtime whilst your team and all of your equipment, furnishings, files, stock and various paraphernalia are relocated to another space by a removals company. The advantage you do have with a relocation is the opportunity to fit out the space before you move in. So there’s ample opportunity to sit down with an interior design consultant and analyse how your current premises work (or to the contrary) and how your new space needs to adapt to your ever growing business. It’s the best of both worlds. The designer can see where you are now and where you need to be, meaning they have plenty of scope to work wonders on a new office fit out that addresses all the issues that have been staring you in the face at your current space. It’s the ultimate opportunity to get it right first time and make it a space that will take you forwards. Although some may argue that a relocation is costly due to business interruption, removals firms, dealing with utilities companies and not to mention, the cost of signing new leases and increased rents, there are actual potential savings to be explored. Nowadays, many landlords are offering enticing deals on new office spaces with reduced rents meaning the savings can be put towards your new fit out. So moving out and starting afresh is not as bad as it might seem. Whilst it might be tempting just to pack up and go somewhere else to start from scratch, this is not always the easy option. Many businesses may find themselves tied down to a long lease. Others may have existing spaces that are irreplaceable or are at least, very expensive to move or recreate elsewhere. Some equipment may be extremely bulky or fragile or perhaps, the current location is so good that you loathe to leave and need the space to simply work better where you are. Yes, an office renovation can be costly and disruptive, but in truth, a relocation poses most of these problems as well. If all that you need is some smart rethinking of the spaces and perhaps an inspired splash of colour or just some simple modernisation, relocating might be a bad idea. Simple office refits should be fairly painless to complete if carried out by a good team of professionals and should be over and done with fairly swiftly. Most businesses tend to outgrow their spaces due to poor organisation of administrative materials such as files, stock, equipment and machinery. Very seldom do staffing numbers cause such chaos unless your business grows in employees by the dozens overnight. Then that’s an entirely different matter altogether! If a business is struggling to deal with space due to a growing stock of material, there’s always a simple and effective way to deal with it, that will create a great deal of space if handled effectively - usually by moving it offsite or to another smaller satellite unit. If staffing numbers are growing at a steady rate, there’s always ingenious ways to ensure everyone fits comfortably within your existing space by implementing cleverly designed work areas and desk layouts that make a smaller spaces feel far more spacious than expected. All you need to do is speak to a reputable office fit out expert and you’ll be surprised what you can achieve in your existing space. Every situation for every business is different. What you must decide is whether you can realistically make changes where you are that will be effective for many years or not. And the best way to do that is speak to an office interior design professional. More often than not, they will have come across your problems time after time and will see exactly how your present space is or is not working for you and can propose either an effective set of changes or perhaps, tag along with yourself to view other potential office spaces to relocate to. It’s a big decision to make but there’s always professional help out there to make the decision process so much easier.